NYC duo Lion Babe have already proven that their flair for fusing alternative R&B/Hip-Hop rhythms and pop-friendly hooks is a winning combination as we've heard such success in hit tracks like "Treat Me Like Fire" and "Jump Hi", but ever since they took flight with their Pharrell Williams-backed "Wonder Woman", we've seen an even funkier side to their repertoire. They continue to flex the funk, this time applying it to Curtis Mayfield's classic battle cry of motivation and positive spirit, "Move On Up". Though you say Mayfield's 1970 classic is untouchable, and only meant for the bravest of samplers, Lion Babe, in fact, rise to the occasion as they twist the script and create a cover that lets them roam in their realm of alternative R&B funkiness, while still retaining to the frantic and soulful symphonic soundbed that Mayfield so brilliantly crafted 40+ years ago. 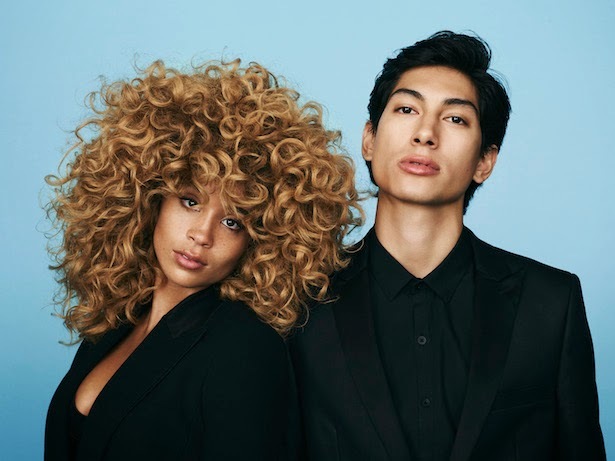 What's also really cool about Lion Babe's version is how Jillian Hervey's saucy twang substitutes for the song's legendary arrangement of horns and guitars, and the result is still just as impacting. Though the duo's cover first premiered as the musical backdrop to the NFL Draft festivities last weekend, the drop is still right on time with the burgeoning #BlackLivesMatter movement, and its the kind of uplift we need no matter whose voice it comes from.